How can I make my posts clickable on Instagram? 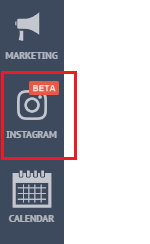 By default, posts aren’t clickable on Instagram. Instagram has only one clickable link - in the bio. From the Home tab, make sure that you are connected to your correct Instagram account. i) Open Instagram (desktop) in a new tab. Log in to your preferred account. ii) Go to the Instagram tab in your Socioh dashboard. iii) Click on ‘Reconnect Instagram’ in the right corner. 3. Now, click on ‘Get Yours Now’ under Clickable Posts. 4. Copy your clickable link and place this in your Instagram bio. ** The middle page for clickable posts is available for ‘Pro’ subscribers. If you’ve subscribed to the 'Basic' plan, the clickable link will redirect users to your online store.